So a lot of people just got Fallout: New Vegas…to find out that it is full of errors preventing them from playing the game! That’s not to say the game doesn’t rock though. It’s an amazing game and despite the errors, it plays well on the PC. If you have Fallout: New Vegas Lag / Stuttering, sound and general audio issues, game crashes, game saving issues, or other problems then check out Fallout: New Vegas Game Fixes. It’ll play perfectly then, and if not, then post a comment about your situation! 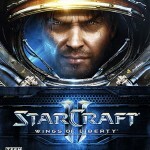 Starcraft 2: Wings of Liberty is a GREAT game. There’s a reason it’s so highly rated by all gaming websites, and that’s because a lot of thought was put into the game design. It’d be a big disappointment of this game was rated badly anyway, seeing as how a ridiculous amount of cash was put into the game’s creation and there was massive amounts of hype built up for the game. This error is a common problem for the new video game Dead Rising 2 and can be found when launching deadrising2.exe. But need not be afraid… we have what you are looking for! Also know that this will fix the error if you get it for other games and programs as well. Read how to fix the msvcr100.dll is missing from your computer here.